The scope is the best friend of a sniper and has an unconditional love for the long range scopes. Scopes are instruments that help snipers have a successful hand at long range shots. They offer a good range, extremely precise aim, clarity and finally a successful shot. To select the best long range scope for money can be a troublesome task if you are new to the field. Objective Lens: Lenses are one of the most important parts of a scope. It consists of an objective lens that stays accommodated at the far end of the stock of the scope. It serves the task of imparting light to the ocular lens, which is the other lens of the scope located closer to the viewing point. The scope part that accommodates the objective lens is known as the objective bell while the part that accommodates the ocular lens is known as the eyepiece. These lenses in almost all the scopes are fog as well as waterproof. Ocular Lens: Rifle scope’s working is quite similar to that of a telescope. The light passes through the objective lens and targets a particular point in the scope. Then the ocular lens serves the task of magnifying the light. When the user views through the scope he/she views the same light which enables to view the object. Scopes are provided with reticles or might as well be called crosshair. These are the special markers that help the shooter to know as to where the shot would exactly land once the trigger is pulled. Power Ring: Many scopes come with such settings that allow you to view objects with varying magnifications. For instance, a particular scope can let you view the object being magnified with 4X to 10X as compared to your usual vision. Such kinds of specially made scopes carry a power ring which on rotation changes the settings of the scope which in turn alters the magnification. Rifle Stand: Most of the scopes are such designed that they by default focus at approximately 90 meters. Altering magnification can cause parallax error to pop up. If you keep the rifle stand at the same position but change your position instead parallax error might pop up changing the aim of your target. But as a solution to this problem, some manufacturers make such scopes that offer such designed objective lenses that rectify parallax error with ease. Scopes have such controls that help them stay aligned with the rifle. The elevation, as well as the windage adjustment, is the two types of controls that affect the sight of a scope. The elevation and windage settings adjust the horizontal as well as vertical settings respectively. Tube of Rifle: The elongated part of the rifle is the tube of the rifle. Most of the rifles are majorly divided into two kinds of diameters: one-inch tubes as well as 30 mm tubes. You need to be well aware of the diameter of your scope such that you can easily pick the appropriate mounting rings while attaching the scope to the rifle. These Barska rifle scopes are well known for the accuracy that they offer to the shooters. The scopes are a good pick for long range shooting in huge fields as it accommodates a 50 mm objective lens that imparts super clear aiming. 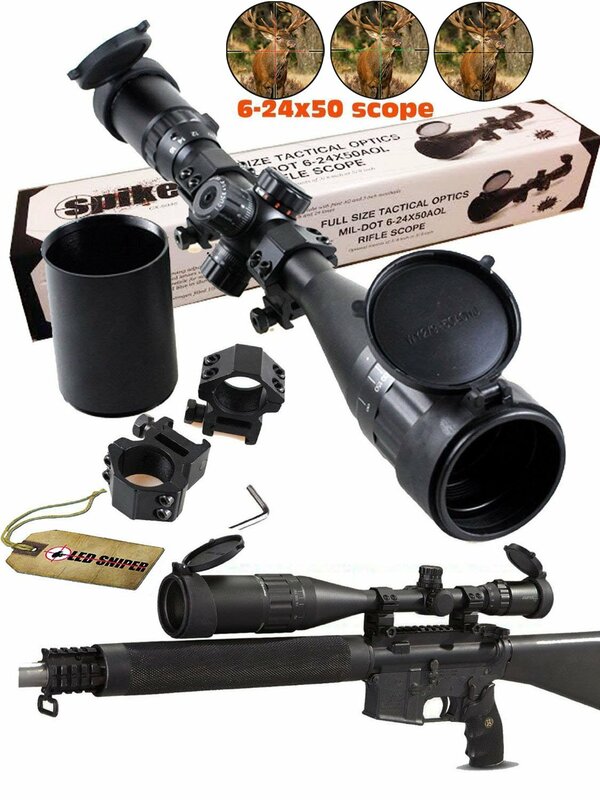 These scopes can be used by shooters in all the varying climatic conditions as it is fog, shock and moisture proof. These rifle scopes are loved for the accuracy and precision that they offer. 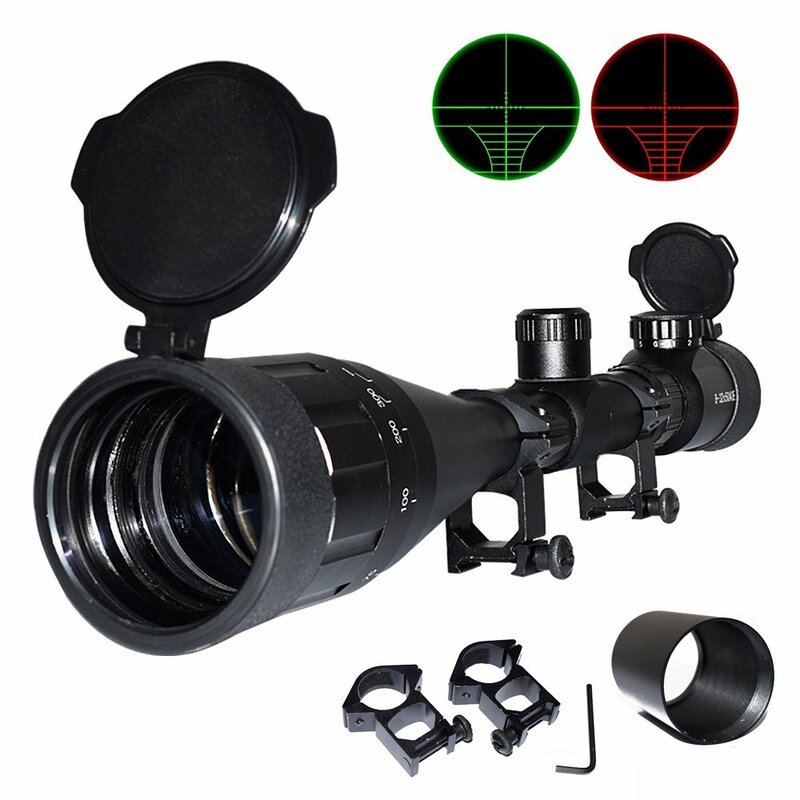 This scope comes with a multi-layered optical objective lens of 50 mm which enables a huge amount of light to enter the scope which in turn enhances clarity. Designed with Adjustable Objective (AO) to rectify parallax error and minimize any kind of misses. These scopes offer easily gripped turrets and double the shooting precision in the case of long range shooting. These scopes are the perfect ones to be used in all kinds of environments as well as seasons as they are fog, water, and shock proof. This scope is all-rounder equipment as it can be used for wildlife hunting, long distance shooting, precision target shooting and much more. These are well equipped with a power ring to adjust magnification as per your requirements which make the view of the target clearer. A long one inch wide in diameter tube along with a precise reticle further adds on to the amazing features of the product. You can face problems while adjusting windage adjustment to zero. The turret screws might loosen up with time. These Feyachi tactical scopes are built in black with a body composed of an alloy that makes it strong. The Mil-Dot reticle aims at the target with perfection and increases the scope of an on spot hit. The brightness of the scope comes in three different colors. These again like the previous product can be used in all the seasons as these are water, fog, and shockproof. The magnification varying from 8X to 32X offer wide usage of the scope. These are beautiful black colored alloy scopes which have Mil-Dot reticle to aim at the target. With a tube diameter of 25.4 mm, eyepiece diameter of 35 mm and objective lens diameter of 50 mm these rifle scopes offer easy alignment with rifles. 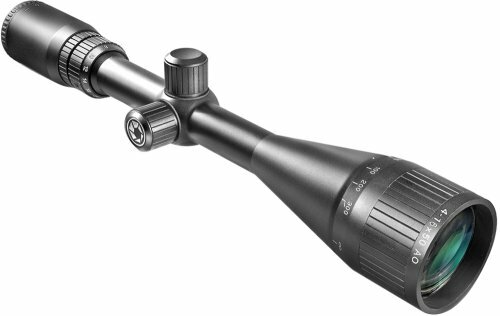 The scope comes with a wide range of adjustable magnification options varying from eight to thirty-two. It offers brightness control varying in three different colors, illuminated, red and green. These scopes can be used all throughout the year in all the seasons as they are a shock, water, and fog proof. The ocular lens is such designed that it imparts quick and precise focus. The scope comes with a sunshade, a cleaning cloth as well as a cover to keep it protected. The 32X magnification setting promised by the scope is not as good as what the other scopes offer. Therefore you might get disappointed if you wish to magnify a distant target. The Ledsniper riflescope offers illumination in different colors like red, blue as well as green. These come with ranging from six to twenty-four making it a product good to be used to shoot distant objects with ease. These are provided with a lens cover and sunshade to keep the scope protected. These scopes can be used all throughout the year in all the seasons. Accompanied with protective lens covers in flip up style and a sunshade to keep the lens protected. Several layered optical lenses to allow light to enter the scope. Composed with a Mil-dot Reticle that works amazingly in wide area fields to aim at the targets. Zero locking and resetting featured turret to enhance the shooting. These scopes are good to be used in all kinds of climatic conditions and impart illumination in three colors like red, blue, and green. 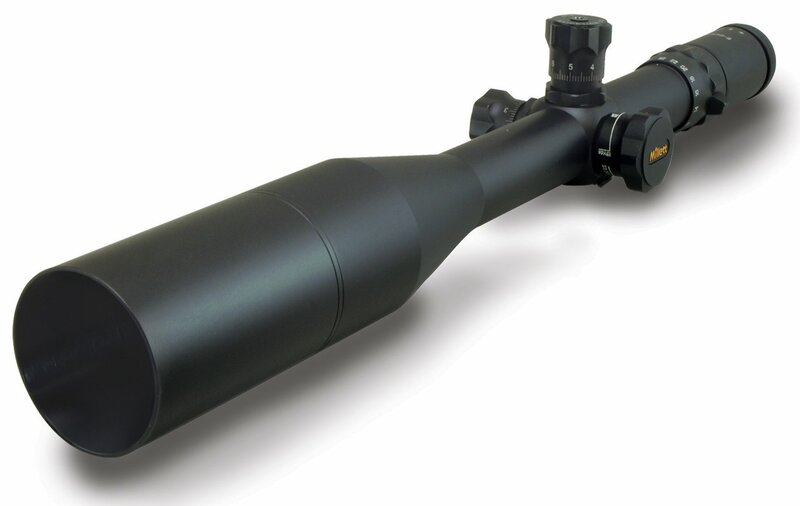 Offers a magnification ranging from 6X to 24x covering a hundred yard field with ease. A well-constructed one-inch wide scope tube to perfectly fit your rifle and enhance your shooting sessions. Not one of the best pick if you are looking to involve for varmint hunting as the optics do not set perfectly with varying settings. Although the scope comes with a sunshade but it does not seem to work well. Well known for their accurate shooting capabilities these scopes are perfect for long distance shooting owing to their precision and accuracy. The objective lens imparts accurate focusing of the target and lets an appropriate amount of light to well view the object. These are good to be clubbed with huge rifles and the Mil-dot bar reticle offers to spot the target with perfection. These rifle scopes are idealistic for shooters looking for long range shooting as they precisely target the aim. These scopes are well known for their accuracy as well as brightness. The objective lens which is 56 mm wide offers immense clarity while aiming at the target and makes it a scope to be used while aiming in wide areas. A unique designed long tube of 35 mm is designed to aim for huge targets. The scope comes with a Mil-DotBar Reticle which makes it easier for the shooter to very minutely aim at the target spot choose to shoot at. These scopes are a perfect pick for the shooters who use bigger rifles. Accompanied with the scope comes a sunshade as well as to cover to keep the instrument protected. Windage and elevation are not very precise. Working of illumination is problematic and the turret does not seem to work well too. Picking up the correct rifle scope is one tedious task for a shooter. Choosing the correct one can transform your shooting session into a memorable one and on the other hand, if you choose the wrong scope your shooting enthusiasm might face a fall. Therefore it is extremely important for you to go through the minute details of the scope and buy the best long range scope for the money.